Your PiYo Workout Planner will hold you accountable. The PiYo Success Journal and Planner was created by me and is available exclusively to my readers. 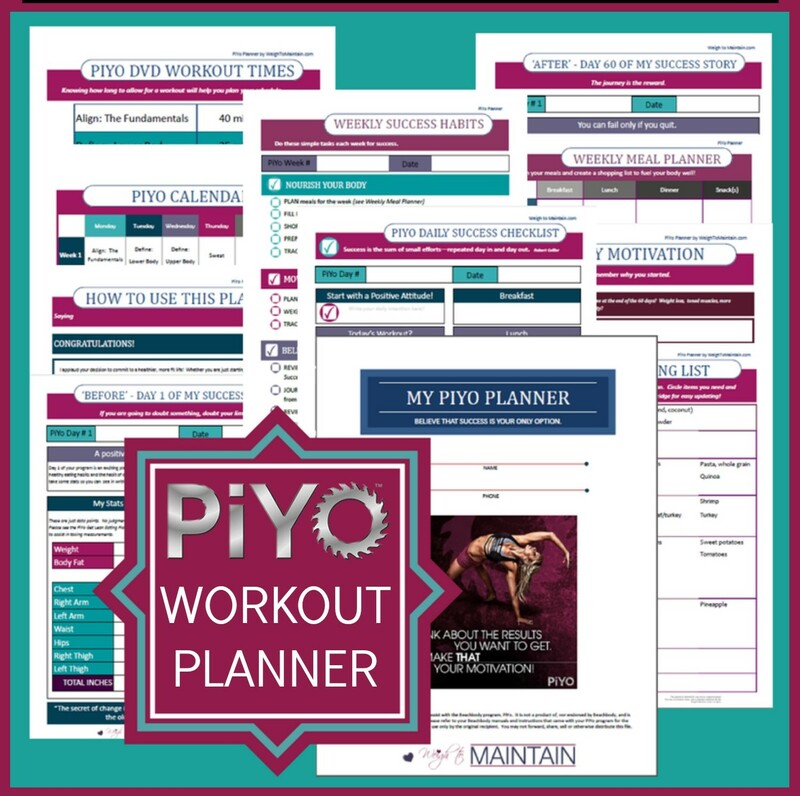 * The PiYo Planner is a workbook you print out and use daily to stay organized and motivated on your PiYo transformation, and it has all the tools you need to succeed! •My Motivation Page to set goals, identify potential obstacles and set a reward! •Before Page to track weight, measurements and photo. This is Day 1 of your success story! •After Page to see your amazing transformation! •Daily Success Habits checklist. This is the heart and soul of your PiYo Success Journal. Track your workouts, water intake, foods and portions according to the PiYo Eating Guide, set daily intentions, work through challenges and journal your successes! •How to Follow the PiYo Get Lean Eating Plan.